The Kingdom of Tungning (Chinese: 東寧王國; pinyin: Dōngníng Wángguó; Pe̍h-ōe-jī: Tang-lêng Ông-kok) or Kingdom of Formosa was a government that ruled part of southwestern Formosa (Taiwan) between 1661 and 1683. It was founded by Koxinga (Zheng Chenggong) as part of the loyalist movement to restore the Ming dynasty in China after it was overthrown by the Manchu-led Qing dynasty. Koxinga hoped to recapture the Chinese mainland from the Qing, using the island as a base of operations. Until its incorporation into the Qing Dynasty in 1683, the Kingdom was ruled by Koxinga's heirs, the House of Koxinga. In reference to its reigning dynasty, the Kingdom of Tungning is sometimes known as the Zheng dynasty (Chinese: 鄭氏王朝; pinyin: Zhèngshì Wángcháo; Pe̍h-ōe-jī: Tēⁿ--sī Ông-tiâu), Zheng Family Kingdom (Chinese: 鄭氏王國; pinyin: Zhèngshì Wángguó; Pe̍h-ōe-jī: Tēⁿ--sī Ông-kok) or Kingdom of Yanping (Chinese: 延平王國; pinyin: Yánpíng Wángguó; Pe̍h-ōe-jī: Iân-pêng Ông-kok). Taiwan was referred to by Koxinga as Tungtu (Chinese: 東都; pinyin: Dōngdū; Pe̍h-ōe-jī: Tang-to͘). In the West, it was known as the Kingdom of Taiwan, and the period of rule is sometimes referred to as the Koxinga dynasty. Following the defeat of the Ming dynasty, the Manchu Qing offered several high-ranking Ming officials and military leaders positions in the Qing court in exchange for cessation of resistance activities. 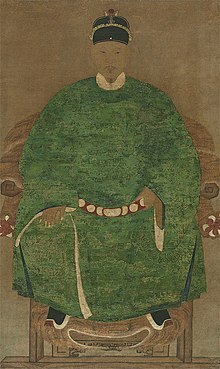 Zheng Zhilong, a Ming admiral and father of Koxinga, accepted the Qing offer, but was later arrested and executed for not ceding control of his military forces to the Qing cause when asked to do so. After learning of this whilst pursuing studies overseas, Koxinga pledged to assume his father’s position and control of his remaining forces in order to re-establish Ming control of China. With most of China controlled by the Qing, Koxinga discovered the situational strategic advantages provided by a retreat and occupation of Taiwan from the translator Ho-Bin [zh] who was working for the Dutch East India Company. Supplied by Ho-Bin with maps of the island, Koxinga marshalled his forces, estimated at 400 ships and 25,000 soldiers, and seized the Pescadores (also known as Penghu Islands) so as to utilize them as a strategic staging point from which to invade Taiwan, at the time controlled by the Dutch. In 1661, Koxinga's fleet forced an entry to Lakjemuyse [zh], and made landing around Fort Provintia. In less than a year, he captured Fort Provintia and besieged Fort Zeelandia; with no external help coming, Frederick Coyett, the Dutch governor negotiated a treaty, where the Dutch surrendered the fortress and left all the goods and property of the Dutch East India Company behind. In return, most Dutch officials, soldiers and civilians were allowed to leave with their personal belongings and supplies and return to Batavia (present-day Jakarta, Indonesia), ending the 38 years of Dutch colonial rule on Taiwan. Koxinga did, however, detain some Dutch "women, children, and priests" as prisoners. He then proceeded on a tour of inspection with a contingent of nearly 100,000 soldiers to "see with his own eyes the extent and condition of his new domain." Following the death of Zheng Jing in 1681, the lack of an official heir meant rule of Taiwan would pass to his illegitimate son. This caused great division in the government and military powers, resulting in an exceptionally destructive struggle for the succession. Seizing the advantage presented by the infighting, the Qing dispatched their navy with Shi Lang at its head, destroying the Zheng fleet at the Penghu Islands. In 1683, after the Battle of Penghu, Qing troops landed in Taiwan, Zheng Keshuang gave in to the Qing Dynasty's demand for surrender, and his kingdom was incorporated into the Qing Empire as part of Fujian province, ending two decades of rule by the Zheng family. Several Ming dynasty Princes had accompanied Koxinga to Taiwan including the Prince of Ningjing Zhu Shugui and Prince Zhu Hónghuán [zh], son of Zhu Yihai. The Qing sent the 17 Ming princes still living on Taiwan back to mainland China where they spent the rest of their lives. Zheng Keshuang was taken to Beijing, where he was ennobled by the Qing Emperor as "Duke of Haicheng" (海澄公); together with his family and leading officers, he was also inducted into the Eight Banners. Junior members of the House of Koxinga acquired the hereditary style of Sia (舍). Troops who specialized at fighting with rattan shields and swords (Tengpaiying) 藤牌营 were recommended to the Kangxi Emperor. Kangxi was impressed by a demonstration of their techniques and ordered 500 of them to reinforce the siege of Albazin against the Russians, under Ho Yu, a former Koxinga follower, and Lin Hsing-chu, a former General of Wu. Attacking from the water using only the rattan shields and swords, these troops cut down Russian forces traveling by rafts on the river, without suffering a single casualty. ^ Kerr, George H. (11 April 1945). "Formosa: Island Frontier". Far Eastern Survey. 14 (7): 81. doi:10.2307/3023088. JSTOR 3023088. ^ a b c d e f g Lin, A.; Keating, J. (2008). Island in the Stream : A Quick Case Study of Taiwan's Complex History (4th ed.). Taipei: SMC Pub. ISBN 9789576387050. ^ Andrade, Tonio (2005). "Chapter 11: The Fall of Dutch Taiwan". How Taiwan Became Chinese: Dutch, Spanish, and Han Colonization in the Seventeenth Century. Columbia University Press. ^ Davidson (1903), p. 49. ^ Davidson (1903), p. 50. ^ a b c d e f g h Wills, John E., Jr. (2006). "The Seventeenth-century Transformation: Taiwan under the Dutch and the Cheng Regime". In Rubinstein, Murray A. Taiwan: A New History. M.E. Sharpe. pp. 84–106. ISBN 9780765614957. ^ Lin & Keating (2008), p. 13. ^ Copper, John F. (2000). Historical Dictionary of Taiwan (Republic of China) (2nd ed.). Lanham, Md. : Scarecrow Press. p. 10. ISBN 9780810836655. OL 39088M. ^ Jonathan Manthorpe (15 December 2008). Forbidden Nation: A History of Taiwan. St. Martin's Press. pp. 108–. ISBN 978-0-230-61424-6. ^ "Min Hakka Language Archives". 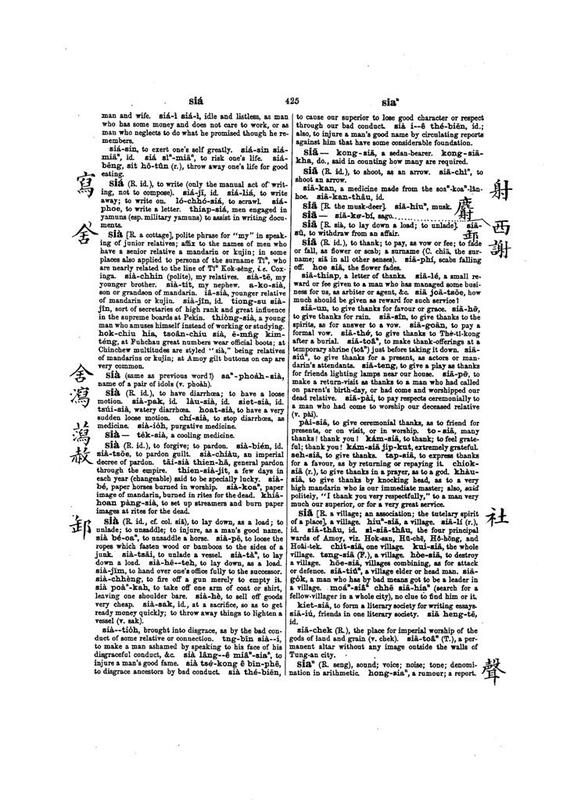 Min Hakka Language Archives. Academic Sinica. Retrieved 23 November 2018. ^ Jonathan D. Spence (1991). The Search for Modern China. Norton. p. 56. ISBN 978-0-393-30780-1.